Our mission at Certified Garages and Doors is to provide each one of our customers with the best start-to-finish service experience possible. Your satisfaction is extremely important to us, and if you’re not 100 percent pleased with our work, we’ll do everything we can to make it right. Why settle for less? 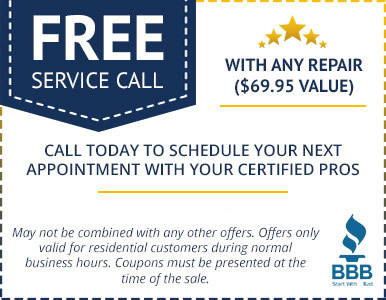 We check out each and every-time; offering expert Certified Pros and the best customer service around! Check us out and get to know us, we’d love to show you what makes us a Top Rated Local® garage door repair company for Ocean, Monmouth, Atlantic, and Burlington Counties! Our name isn’t just for show. 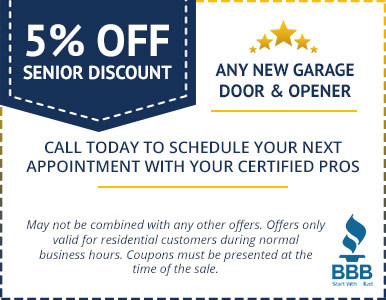 We really are certified garage door repair professionals. Our technicians are certified by the International Door Association in garage door systems. This is a mark of excellence in the door industry and demonstrative of how seriously we take our job. Beyond this certification, we are experienced at repairing and installing all makes and models of garage doors and openers for residential and commercial properties. Whether you’re a homeowner or a business owner, our company will take care of all of your door needs. Small Company — Big Customer Service! We might be a small, family-owned and operated company, but don’t let that fool you — we offer exceptional customer service, top-of-the-line products, and professional door installation that equates to amazing customer satisfaction. In each and every interaction, you can count on our technicians demonstrating a can-do attitude and the utmost respect and professionalism. When you choose our company, you won’t be let down. Check out our reviews to see for yourself what our customers are saying! Are you ready to start your new project with Certified Garages and Doors? Call us at 609-488-2616 today! I put an online request in and the woman in the office called me within minutes. I will be calling them for my sliding door as well. February 8, 2019- I put an online request in and the woman in the office called me within minutes. The gentleman Greg who came out was very knowledgeable and gave me some great pointers on next steps with the repairs on my garage door. He gave me a few options and we ended up replacing all the parts and my door is running better then ever and it’s quieter now then when it was installed 4 yrs ago. I would highly recommended this company and I will be calling them for my sliding door as well. You will not be disappointed CALL THEM! February 7, 2019- 5 star crew! It went well and the work was done in a professional manner. February 6, 2019- It went well and the work was done in a professional manner. ©2017 Marketing 360® All rights reserved.